Different color light passes through curved glass (a lens) at different angles. Achromatic lenses 'correct' for this 'spherical aberration' in order to bring the light rays into focus on the same plane. The better the lens, the greater is the amount of correction or 'flat field'. Achromatic - Standard on most microscopes with 65% flat field . Most applications only require standard achromatic lenses. Semi-plan and plan lenses are typically for professional use. Please note that Semi Plan and Plan filters also include E-Plan, S-Plan and U-Plan objectives. Brightfield microscopes use transmitted (illuminated from below) white light that is absorbed by denser (darker) areas of the specimen to create contrast. Darkfield microscopes improve the contrast in unstained, transparent specimens. They use scattered light that is not collected by the objective lens and so the light will not form part of the image. As a result, the specimen is illuminated against a dark background. 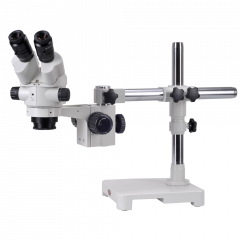 Epi-Fluorescence microscopes use the phenomena of fluorescent and phosphorescent light instead of, or in addition to, reflection and absorption. 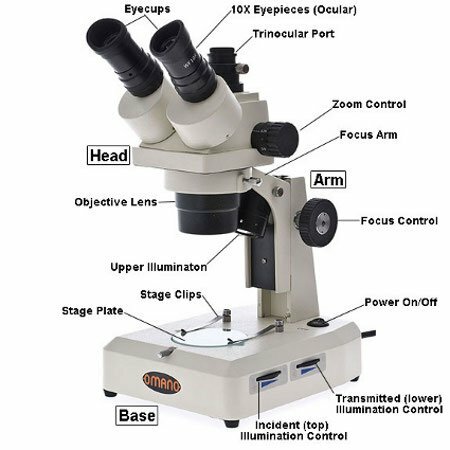 Inverted microscopes are used to view specimens that require more working space than a slide. For example, specimens in containers such as petri dishes. 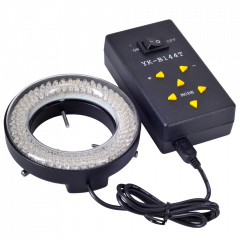 They are also used for polished metal specimens where reflected light is required. The objectives are located below the stage while the light source and condenser are above the stage. 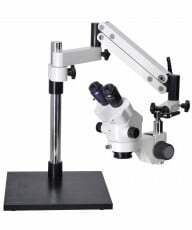 Metallurgical microscopes are a form of inverted microscope. 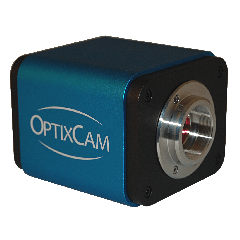 They are designed for opaque or polished metal specimens that require high magnifications, but with reflected illumination (more typical in a stereo microscope). Phase Contrast microscopes enable greater contrast in transparent specimens (protozoa etc) without the use of stains. Invented by Fritz Zernike, they convert small phase shifts in the light passing through the specimen into changes in contrast. Polarizing microscopes employ polarized light that show changes in internal structure and composition of material not discernible with ordinary light. 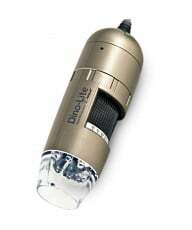 Portable microscopes employ rechargeable LED batteries so they can be used outside in the field. 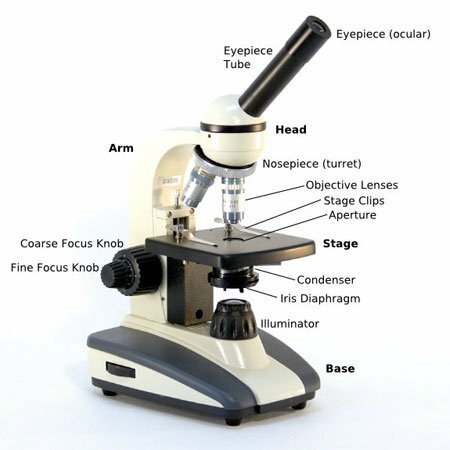 Teaching microscopes employ two or more microscope heads so that teacher and students can view the specimen, simultaneously. 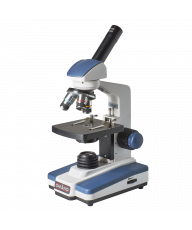 Microscopes for kids and hobbyists include good quality, affordable compound microscopes for everyday use. We recommend monocular microscopes for younger kids but remember, they should view with both eyes open! 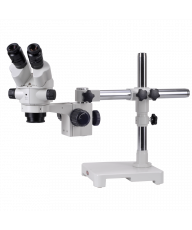 Binocular microscopes become the recommended microscope as soon as their eyes are wide enough apart to use two eyepieces. Trinocular is good for anyone interested in photomicrography. We also cater for the Home Hobbyist for whom we recommend the Omano OM36 or OM88. Alternatively, the Omano OM 118 Series offers a lower priced option. 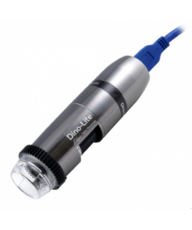 Increasingly, customers add a digital USB microscope camera for that WOW factor!